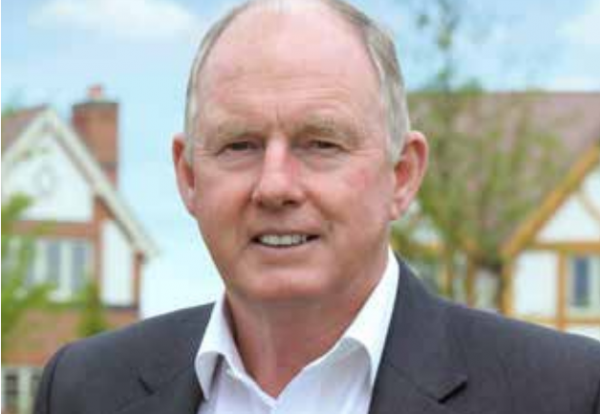 Redrow chairman Steve Morgan has announced he will step back to a non-executive role eight years after returning to the business to put it back on its feet. He announced plans to ease back from day-to-day running of the house builder as Redrow unveiled record results for the fourth year running. Morgan has also upped the house builder’s business plan to target revenue of £2.3bn by 2020, which would take it past the 7,000 annual completions mark. Over the year the fast-expanding house builder’s turnover rose by 20% to £1.66bn. This was driven from a 15% jump in legal completions to a record 5,416, combined with a 7% rise in average selling price to £309,800. The increase in average selling price was mainly due to the continued growth of the southern businesses and the first contribution from its new East Midlands division. Operating margins rose to 19.4% delivering a record pre-tax profit of £315m. Morgan said the record performance was delivered against an overall market slowdown in the UK as a consequence of the political uncertainty and increasing cost of moving home, particularly Stamp Duty which, “over the last seven years, has increasingly become a tax on mobility”. “Redrow began the current financial year with a record order book, up 14% year on year to £1.1bn. “Sales in the first 9 weeks are very encouraging, up 8% on a strong comparator last year,” he said. “Based on the strength of our current performance and the robust demand that we are seeing, we are today updating our medium term guidance. To meet continued growth Redrow again expanded its workforce adding 228 new direct jobs, a 12% increase in the year. It now employs 2,200 people directly with over 30,000 jobs supported in total through subcontractors and suppliers. 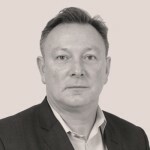 Morgan said: “Eight years after returning to Redrow, I have decided to ease back from a full-time Executive role towards a Non-Executive role.